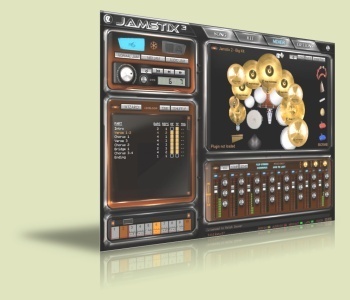 Jamstix 3, Virtual Drum/Percussion from Rayzoon. Jamstix, the Rayzoon virtual drum software, is now available in beta demo version for Mac OS X.
Rayzoon has released version 3.3.0 of its virtual drummer Jamstix. Rayzoon has released version 3.2.0 of its virtual drummer Jamstix. Rayzoon has released version 3.0.2 of its virtual drummer Jamstix. 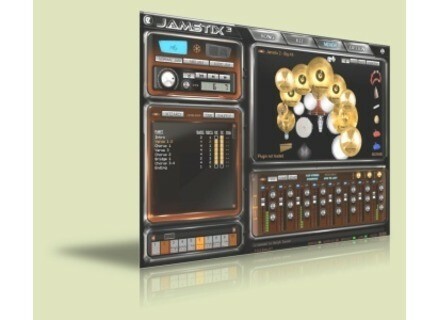 Rayzoon announced that Jamstix 3, the latest installment of its virtual drummer, will be released on May, 5th 2010. Rayzoon announced that Jamstix 3 is now in a public beta for Jamstix 2 owners. Rayzoon has announced that a Public Beta version of Jamstix 3 is available now to all Jamstix 2 owners.